We believe wherever you work or whatever your position, you have influence. Leadership Day is designed to equip you as a follower of Jesus to live out the DNA of discipleship and mission wherever you lead. Hosted by the Grace Gathering Leadership Team, we invite you to a single-day event of worship, ministry, and training. Join us as we all play our part in helping everyone in the greater Fort Wayne area have multiple opportunities to hear and see the gospel, become disciples of Jesus, and see our communities transformed. ”A great blend of encouragement and challenge. We definitely felt like there were "light bulb" moments that happened! Leadership Day is for you! Are you one of these people? 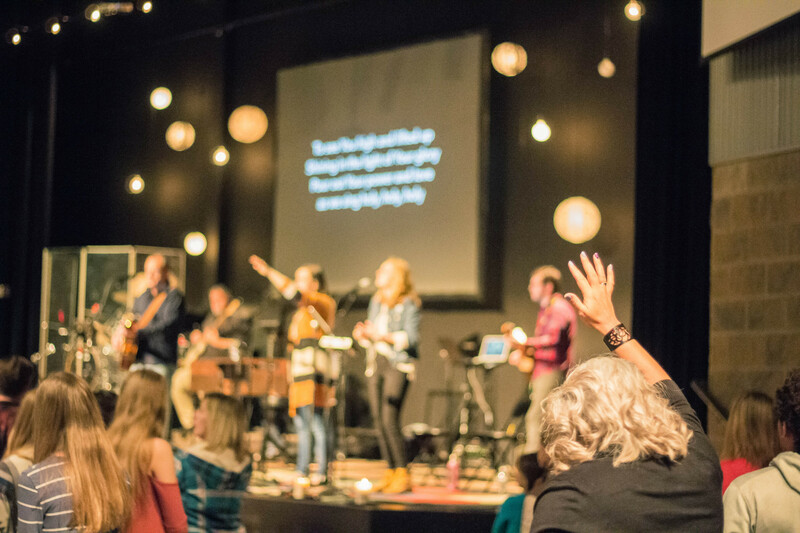 A part of a serving team like Prayer, Connections, Room Hosts, Hospitality, Worship & Tech or more! Or you don’t currently lead something specific, but you’d like to! If any of these are you, we want to welcome you and your team! No – it’s absolutely free. Yes – you can sign up below. The deadline to sign up is March 17, 2018. If you register by March 10, you could win a Starbucks gift card! Can I come if I’m not leading anything at the moment? You sure can. If you have a desire to see God empower you to impact the world around you, then you are most welcome. Will lunch be provided or do I need to bring my own? An alert mind, a willing spirit, and a notebook and pen! What do I do if I really want to come but can’t make that date? Email Elly Maconochie at hmaconochie@gracegathering.com, and she will let you know how you can be involved in other ways. What if I'm already signed up for REBUILD? If you are a youth leader and have been asked to attend REBUILD, you do not need to sign up for Leadership Day as well. We’ll all be there together, and you’ll receive your special instructions when the time is right. You can sign up for REBUILD here. If you’d like to ask about something not explained here, please email Elly Maconochie with any questions you have.